I understand if you don’t know what car this is. This is undoubtedly the rarest and most interesting car yet featured on Cars in the Wild. Some cars are so transcendent that you don’t have to know a single thing about them but the minute you see one, you know it is something special. When a Rolls-Royce or a Lamborghini drives by, people without a shred of car geek in them turn to gaze longingly then quickly text their car obsessed buddies. And, there are some cars that being seen driving in them is one of their primary purposes (I’m looking at you Rolls and Lambo). This is not one of those cars. 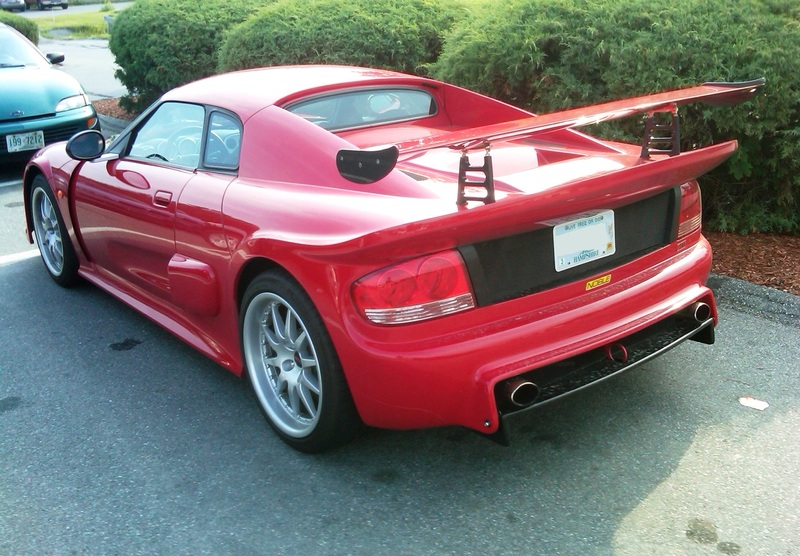 Yes, the giant wing will cause deep boy-racer envy and every cop on the road will do a double-take when the see the flashy red paint, but the Noble M400 is about as far from a poser performance car as you can get. Google ‘Noble’ and you have to scroll for several pages before you reach the company’s homepage at NobleCars.com. Based in Leicester, England, Noble has been producing cars in small batches since 1999 with only a handful of different models since its inception. The M400—the track oriented version of the Noble M12—features a 3.0-liter twin-turbocharged V-6 that puts out 425 horsepower and 390 pound-feet of torque. What’s most significant about this car, and rings true of Noble’s in general, is the staggering level of performance it delivers for a comparatively small fee. Brand new during its production run from 2004 to 2007, the M400 would run you about $70,000. It may not have the swagger of an Italian exotic, but in return for your hard earned money it will obliterate the run to 60 miles per hour in 3.3 seconds (as fast as a Ferrari Enzo), and pull well over 1.0G on the skidpad. Check out a fun Fifth Gear comparison test with the M400 HERE, and a 2007 review from Car & Driver HERE. 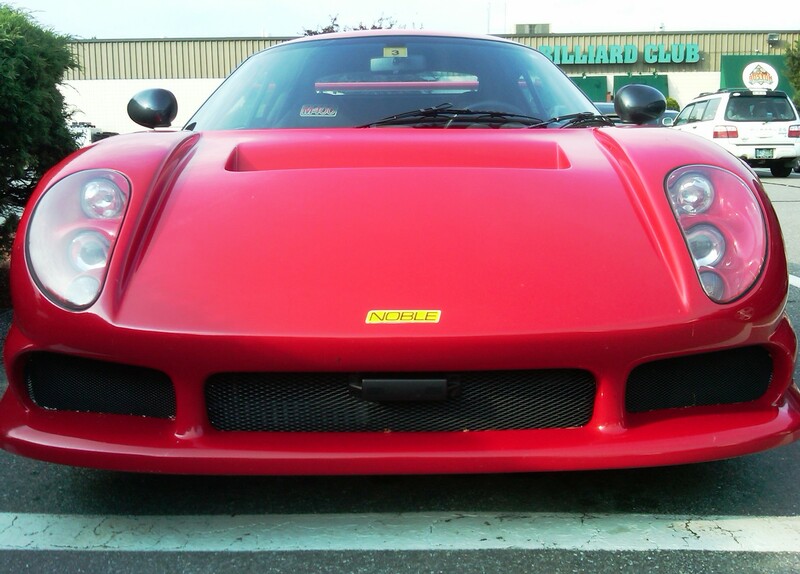 The thing I like most about the M400, however, is that you have to know what this car is in order to buy one. This is not a car you cruise around in to pick up chicks or flaunt your wealth in—although the ride is reportedly very good, which should bode well for delicate female bottoms. Whoever owns this car must understand cars on a different level than someone who buys, say, a Lamborghini Gallardo. While the Lambo is a ridiculously capable performance car, there is a certain brain wave pattern a person must exhibit to purchase one that I don’t think exists for the M400—call it a mix of vanity/bravado/macho. I’d like to assume that the owner of this car (I must meet them!) enjoys track days, knows the Formula 1 champions for the past decade, relishes replacing the M400’s clutch and sipping aged classic Scotch. If I see this car on the road, you can bet I’m going to do everything I can to get them to pull over so I can find out if my assumptions are correct. Is that sketchy? Whatev. Your assumptions are partly correct. I know the hallowed ancients, the Fangios and Stewarts of yore, but lost interest post middle age, when t.he Schumachers came along. Sipping fine Scotch is not at all an unfamiliar habit. What disqualifies me as a potential Noble owner is the 70 big ones, so you’ll have to look elsewhere to test your assumptions. You would be partially correct that I don’t care about owning the Italian brands as they are too common in these parts. 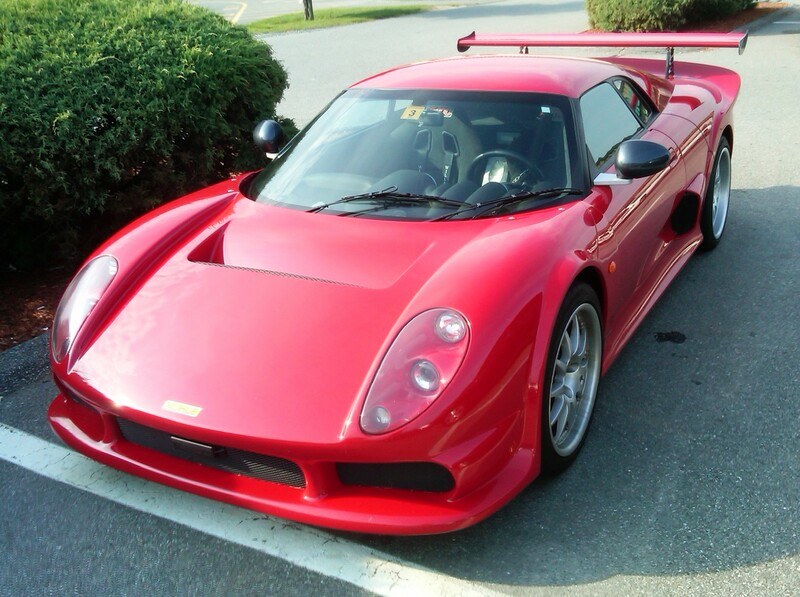 I bought my Noble because it is one of the top performing cars in the world, period. No excuses our explanations needed. I get people coming up on my car and wanting to talk smack and as soon as the google results come back, they walk away because they can’t say anything. I am into motorcycle racing (been roadracing my motorcycles for a while) a lot more than car racing and not a big drinker but I smoke my fine cigars. If you’re in Socal, let me know.